U.S. Rep. Peter Welch, D-Vt., expressed his frustration with “shutdown politics” in Congress during a news conference at Brattleboro Memorial Hospital on March 13. BRATTLEBORO—U.S. Rep. Peter Welch, D-Vt., admits to stalking his fellow representatives through the halls of the country’s Capitol Building. Vermont’s lone congressman and fellow Rep. Tom Reed, R-N.Y., want to pass legislation to beat a March 31 cut off for heath care funding. Welch described the Congress as irresponsible for dragging its feet on approving funding for a Medicare reimbursement program aimed at rural hospitals during a press conference at Brattleboro Memorial Hospital (BMH) on March 13. “Providing health care in a rural community is easier said than done,” Welch said. The March 31 funding termination could leave BMH without a considerable chunk of its budget unless Congress passes legislation to extend the Medicare Dependent Hospital and Low Volume Hospital Designations programs. These programs provide extra funding for hospitals like BMH that serve large Medicare populations, patients who are 65 years old or older. Such hospitals are called Medicare Dependent Hospitals (MDH). Welch and Reed have submitted legislation to solidify program funding for five more years, although Welch feels the program funding should become permanent. The Medicare Dependent funding programs have needed reauthorization in some cases yearly. The last time BMH went for MDH funding, it received it for two years. Congress should not force hospitals like BMH to hang by their fingernails waiting until the last minute to approve funding, Welch said. While receiving authorization for five years of funding is uncertain, Welch said he feels optimistic that at least some funding will come through before the March 31 cut off. Funding rural hospitals does not boil down to a red state versus blue state issue, he said. Rural communities tend to have older populations. Older populations tend to require additional health care. “Are we going to support rural America and older Americans who need heath care?” asked Welch. According to BMH President and CEO Steve Gordon, Brattleboro has the only Medicare Dependent Hospital in Vermont. “This is the one issue that determines whether we’re in the the red or the black,” said Gordon of the hospital’s budget. A full year of MDH funding for the hospital is $4 million, Gordon said. Congress’ most recent approval funded the program for 6 months, or approximately $2 million for BMH. Of the patients walking through BMH’s doors, 60 percent are on Medicare, said Gordon. Yet approximately 42 percent of BMH’s revenue comes from Medicare reimbursements. The hospital receives about 40 cents from Medicare reimbursements for each dollar of service cost, he said. “Where do we make up the loss of MDH funding?” he asked. Gordon said that approximately 18 to 20 percent of the hospital’s patients receive Medicaid, with the remainder a mix of “commercial patients” meaning they’re receiving a group health plan through their workplace. The income mix of patients has less of an effect on BMH’s budget as the rates of reimbursement from different health insurance sources, said Gordon. Of Vermont’s 14 hospitals, eight are designated critical care hospitals, said Gordon. Unlike BMH —not a critical care hospital — these hospitals receive higher Medicare reimbursements at service cost plus 1 percent. The reductions of funds just from $4 million to $2 million has left BMH with a 0.7 percent operating margin, said Gordon. 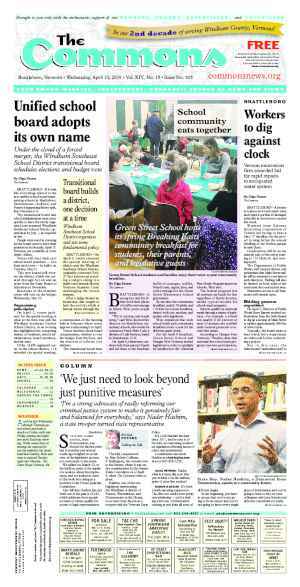 The state’s Green Mountain Care Board (GMCB) has expressed concern. The low operating margin makes reinvesting in the hospital, programs, and staff difficult for the hospital, Gordon said. For three years, BMH has gone to the GMCB without knowing the total of its MDH funding, he said. This creates uncertainty in the state system as well. “How do you put together a budget when don’t know what your largest payer — Medicare — is going to pay you?” he asked. This year, Gordon said, BMH lowered its rate increase after receiving its MDH funding. This took some burden off Green Mountain Care. As a side concern, Gordon noted the closing of Vermont Yankee nuclear reactor brings the loss of 500 highly benefitted jobs. With the closing of VY, he said, BMH and the Brattleboro Retreat become the community’s largest employers. 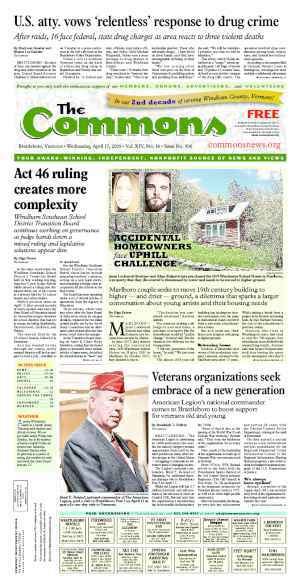 Quoting data he has seen from the Vermont Community Trust, Gordon said that Windham County is the fastest aging county in the nation. 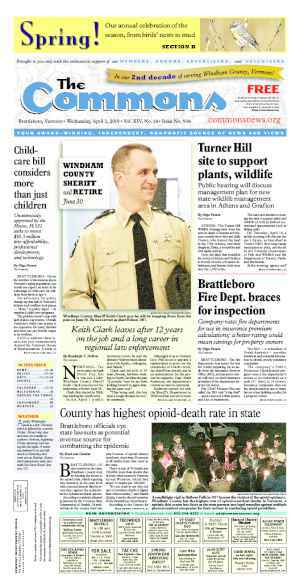 Nineteen percent of Windham County’s population is over 65, compared to the state average of 16 percent. Gordon thanked the local community for its unflinching support of its hospital and fundraising efforts. Orthopedic Doctor Elizabeth McLarney, dressed in blue scrubs and white doctor’s coat, spoke to BMH’s need for the Medicare Dependent programs between surgeries. “Funds from this bill ensure the financial viability of this hospital,” she said. While interviewing a potential hire, McLarney said the candidate asked her if BMH could exist for the long-haul. He had no intention, said McLarney, of moving his family to a community whose hospital would disappear in 10 years. She told the doctor, yes, but added, without the extra Medicare funds, BMH’s financial viability becomes more uncertain. The community should want to treat its elderly members in their community with friends and family nearby, she said. Those types of community connections produce better recovery outcomes. Better outcomes cost less money, McLarney added. Welch said the “gridlock politics” problems in Congress stem from many sources, adding that many members of the House believe that they should cut spending for the sake of cutting spending — except for the military. These legislators also like tax cuts for the wealthy, Welch added. 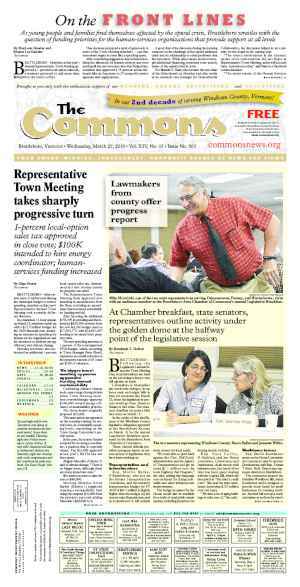 He said that supporting rural hospitals isn’t on the radar of many legislators. Urban areas have a greater mix of populations and funding. They are less dependent on Medicare and have higher reimbursements. “The whole health care system is very much in flux,” said Welch. He views passage of the Affordable Care Act as a start, not an end, to health care reform. Rather than focusing on whether to repeal the ACA, Congress should listen to its citizens to learn where the legislation can be fine-tuned. Welch expressed frustration with “shutdown politics” in Congress. Congress’ job is to make government work for the people it serves, said Welch. Yet many in Congress don’t believe in government. That’s like going to a doctor who doesn’t believe in health care, Welch said. Originally published in The Commons issue #297 (Wednesday, March 18, 2015). This story appeared on page A1.